I bought the A Night in Vegas neons from Pipe Dream Polish in October of last year and finally had an opportunity to use them to do a water marble. I chose a rainbow design and learned how to do it from a video by Yagala on Youtube. She gave some really great tips and her technique is great! I have worn these since Friday and don't plan to remove them until I absolutely have to. I'm in love! This is the second water marble I have ever done and I have to say I'm proud of it! 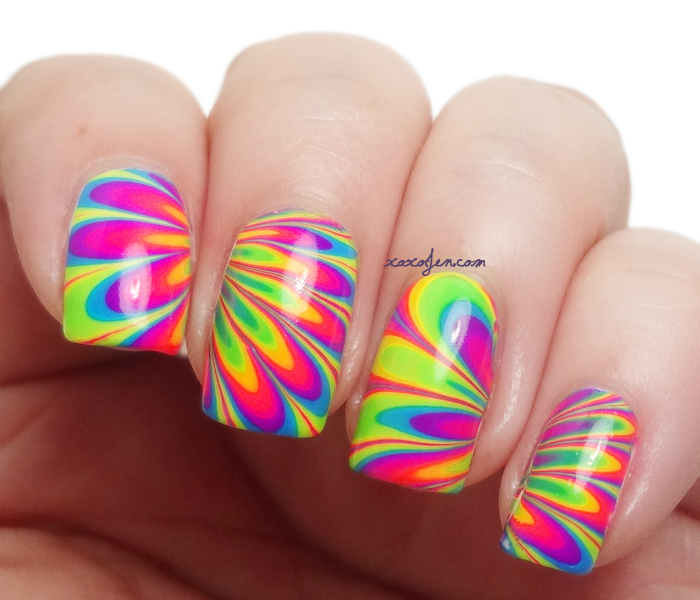 Will you try water marbling? 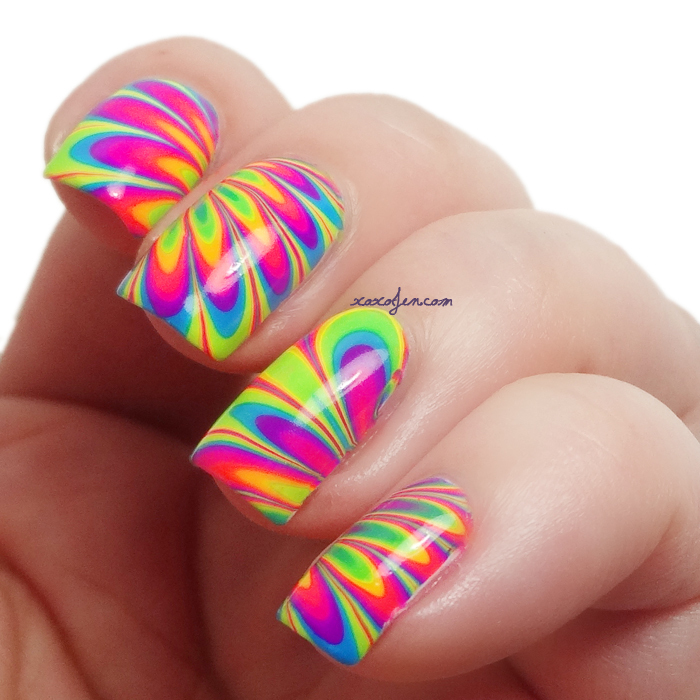 Your water marble looks fantastic! Just wow. WOW! This turned out awesome Jen and I'd wear it for as long as possible too!! ! I've watermarbled before but my results weren't this consistent, so I'll have to check out that video!